You know that feeling. That feeling when you’ve put months of work into an event — researching, budgeting, planning, promoting — and when the big day rolls around, you realize that you forgot something so obvious that all you can do is put your face in your palm. Don’t worry, it happens to the best of us. If you want to avoid that feeling at your next event, we’ve got you covered. Here are some of the most common event planning mistakes — and how to avoid them. The problem: When an event is a year (or a half a year) away, it can be tempting to keep it on the back burner and focus on other immediate priorities. Then, all of a sudden, you look up and your event is three or four months out. You’re forced to rush through important things, like developing your event app. The solution: We recommend starting the process at least six months out. More planning leads to a smoother event, and this is especially true for your app. Leave plenty of time to contact an app provider, plan the discovery stage, and design and develop an app you’re proud to share. The solution: A hashtag is crucial for social media, especially Twitter. It’s how your attendees will tell the world what’s happening and where, and how people will be able to find tweets related to your event. Keep it short. Long hashtags are difficult to remember, and difficult to type without making a mistake. Make your hashtag unique, and keep it to a minimal amount of characters. If you haven’t announced one, post it to your app’s social wall, send a notification, or ask your first speaker to mention it before they begin. Click here for other event hashtag tips. The problem: Your event was seemingly successful — it was promoted, attended and managed smoothly. But in the final analysis, the engagement metrics were disappointing. The solution: Your attendees personalize everything in their lives — entertainment, news, social media, etc. Your event should offer a personalized experience. Your email marketing can mention them by name. You can offer a customizable agenda. You can personalize their app to display content that the attendee has already demonstrated interest in. If you personalize your event, attendees will feel a greater sense of ownership over their experience, and the results will be reflected in your engagement metrics. 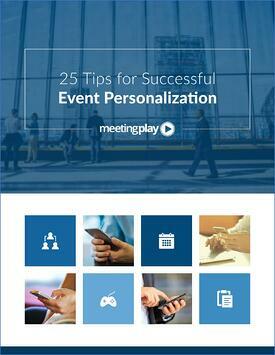 Click here to download our ebook which includes 25 tips for event personalization. The problem: Vendors and attendees begin to arrive, and you and your team are still running around like crazy. To seem out of control right off the bat is not a good first impression. The solution: Create a detailed production schedule, with time allotments and specific task assignments for everyone involved. It can’t hurt to keep a couple of additional hands free, reserved for those unknowns that always pop up. Similarly, when you create the schedule, build in extra time. An earlier wake-up call will be worth it when you have greater peace of mind as the event begins. The problem: You realize that on the same day of your event, there’s a marathon running through the city and traffic is completely gridlocked. The solution: Put some thought in the external factors. Is there a similar industry event happening on the same date? 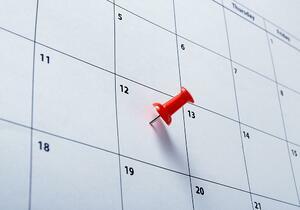 Even if another event is happening within the same few weeks, your attendees might not want to commit to both. Research some of the events in the city as well. Is there a big concert? Sporting event? Parade? Protest? Convention? Even if these happenings are unrelated, they can snarl traffic and cause logistical headaches. 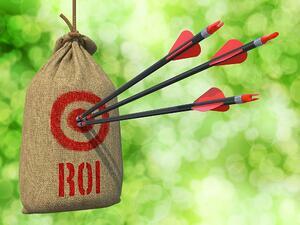 The problem: After the event, your boss asks you, “So what was the ROI?” and you don’t have an answer. The solution: Make sure you have an event app that gathers the right data. Keep track of all of leads generated, live-polling, QR code scans, vendor booth visits, networking matches, etc. A good app will capture all of these metrics and more — so you’ll have the data you need to prove success and improve your strategy for next year. The problem: Hours into a day of presentations and breakout sessions, attendees are slouched in their seats, staring at their phones. The solution: Over-programming is a common event management problem. While you might be anxious to pack in all the excitement possible, remember that attendees can only take in so much. Schedule ample breaks, and communicate them clearly. Make sure your venue has a pleasant space nearby — preferably with an outdoor option — for attendees to recharge. For multi-day conferences, wrap things up and start happy hour a little early. Sometimes the best breakout session is actually just a break. The problem: Something goes wrong at your event. Something that you knew might happen, or something you didn’t anticipate but in hindsight is painfully obvious. Murphy’s law — the adage that says, "whatever can go wrong, will go wrong” — is popular for a reason. It tends to hold true. 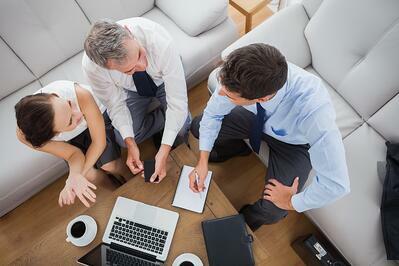 The solution: Before your event, schedule a meeting with everyone involved: planners, marketers, operations managers, etc. Ask everyone to bring a list of everything that could go wrong. At the meeting, run down the list and make sure you’re making every possible preparation or fail-safe in case Murphy shows up at your event and lays down the law. The problem: You arrange awesome speakers and interesting breakout sessions. But in surveys and in data, it’s clear that the networking engagement numbers are flat. The solution: Attendees and vendors come to your event expecting to make connections. Make sure you incorporate time and space for people to network. And take advantage of event app technology to encourage and maximize connections. Enabling QR codes for attendees, speakers and sponsors makes it easier to swap profile and contact information, and everyone can use their app’s messaging and social features for simplified communication. Remember: event planning mistakes happen! The best thing you can do is learn from what went wrong and apply that knowledge to the next event. Many of us at MeetingPlay have been meeting planners ourselves, so we’ve learned a lot (and seen it all) over the years. We’d love to share some of that knowledge and experience for your next event app — contact us for a demo!